So excited for this! I always loved ColourX, and have been searching for an amazing all-in-one wax for those days when i just don't feel like doing all three steps! Is this new 3 in 1 wax synthetic based like NXT or is it Carnauba based? If synthetic, can I assume it does not dry white and/or leave a white residue on plastic trim? Yes indeed! We are pretty excited about this one. 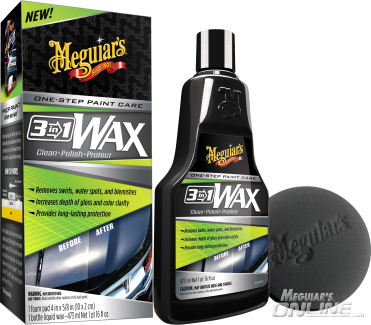 3 in 1 Wax is a blend of synthetic & carnauba protection. It can leave residue on exterior non painted rubber or plastic trim. 1) How does this compare to the Ultra Polishing Wax? I love the wipe on/wipe off ease of use of that product. 2) Which pad would you recommend for this if using the DA polisher? New AIO is always welcomed. Nick, how's its cut/aggressiveness ? Similar to White/Black Wax or more like D151 ? I've been pitching for an "Ultimate Cleaner Wax". This seems like it will fit the bill!